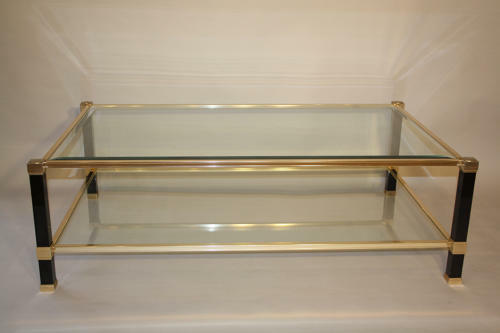 An elegant and versitile glass shelf two tier coffee table by Pierre Vandel, Paris, France c1970. With Pierre Vandel tag. Black metal with gold edges.